East Ayrshire and Upper Nithsdale residents are being invited to attend two public exhibitions to discuss plans for a new wind farm that could deliver a positive lasting legacy for the area. Banks Renewables, the wind energy company behind the proposal for the Lethans wind farm, east of New Cumnock, has recently finished all technical and environmental investigations and has carefully revised the proposal with the help of community feedback. A planning application for the 26 turbine wind farm is now being prepared and will be submitted to the Scottish Government Energy Consents Unit in October 2014. If approved, revenue from the electricity generated will provide funding to help deliver the recently launched community action plans, delivering local priorities and benefits. 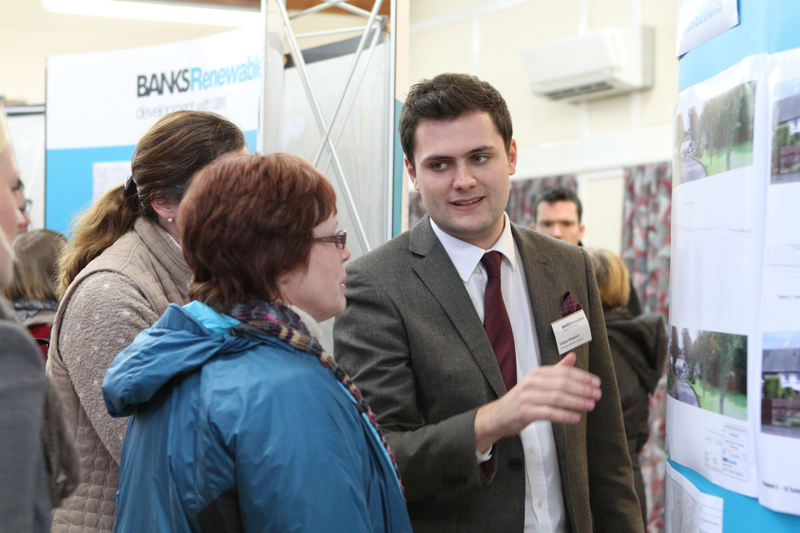 Colin Anderson, development director at Banks Renewables, said: “We’ve been working closely with the community for two and a half years on our proposals for Lethans (and High Cumnock). Local economic benefits are substantial for the Lethans site, with the construction costs valued at £105 million with a potential £21 million of this total allocated for local firms. As well as its measures to boost local businesses, Banks Renewables has also created an innovative community partnership, yielding 2.5% of the wind farm revenues for the local area – which could be up to £15 million over the 25 year lifetime of the project. The community would also be offered the chance to purchase a 5% equity share with the revenues generated being directed into worthwhile local projects. Significant environmental benefits are also set to come from the development, with plans to improve the local habitat. The public events will take place at the New Cumnock Community Centre on Wednesday 20th August, between 3pm and 7pm. A further event will also be held at the Hillview Leisure Centre on Thursday 21st August, between 3pm and 7pm. At the events there will also be an opportunity to discuss the progression and development of its sister site called High Cumnock. Banks Renewables is part of the Banks Group (www.banksgroup.co.uk), a family firm founded in 1976, which now employs over 420 people in the renewable energy, property and mining sectors. Want PR for your business? Fill out the contact form below and we will get straight back to you. When planners threatened to scupper Quixwood Moor Windfarm in the Scottish Borders, a PR campaign by Holyrood PR helped achieve planning consent.